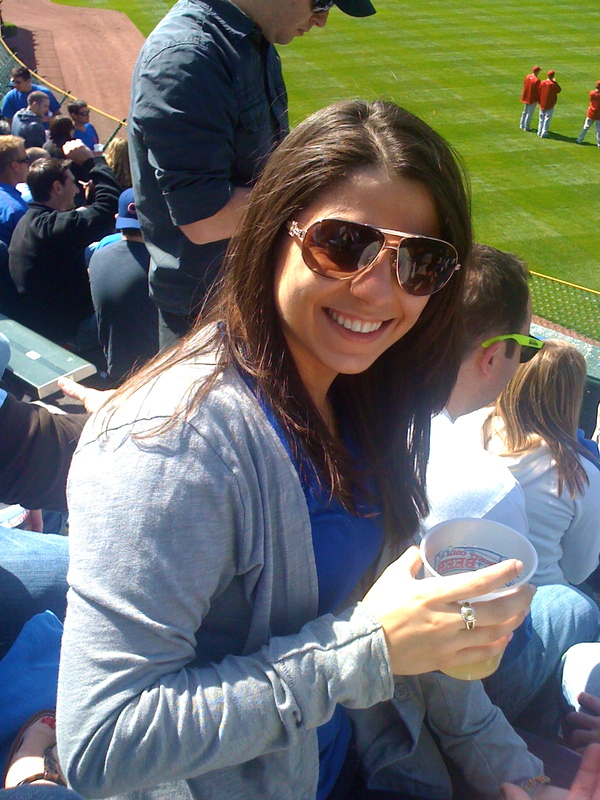 Aaah finally…spring in Chicago! The weather has been beautiful, the sun has been shining, and everything seems to be going great!! 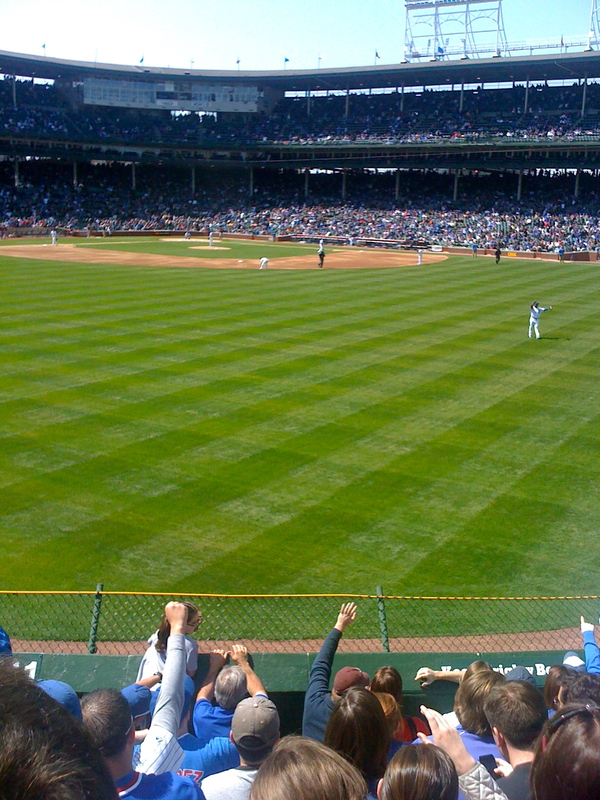 I went to my first Cubs game on Saturday, am heading to Minneapolis to visit one of my best friends this weekend, then spending a week in Florida with my mom. I start my new job in May and am finally feeling like a resident of Chicago. It’s been a long trek after college trying to get my feet on the ground, but can finally say I am employed!! Sunday I went to 33 Club for brunch and Mimosa’s with the girls and spent the day hanging around the house and making dinner! It was a very relaxing day and MUCH needed! 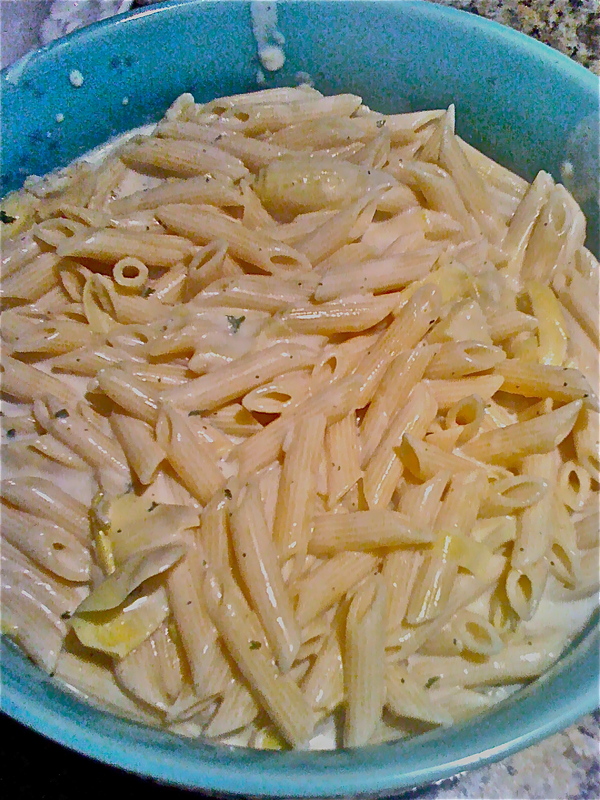 For dinner Sunday night, I made my Grandpa’s Artichoke Sauce with penne pasta. It is a fairly simple sauce to make, but you need to make sure you really cook the flour so your sauce doesn’t taste too much like flour. 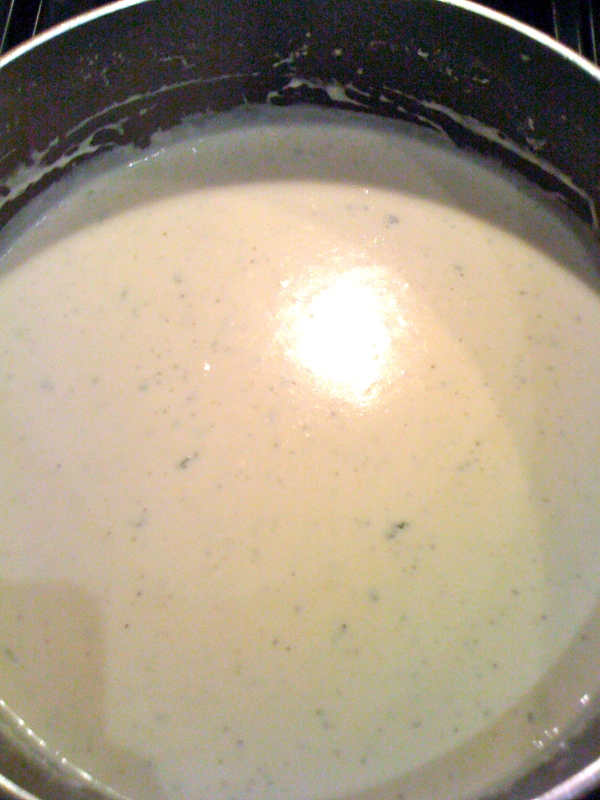 All you need is whipped butter, chicken broth, heavy whipping cream, parsley flakes, salt & pepper, quartered artichoke hearts, and of course Pasta. It was a pretty long weekend, so dinner was not as exciting as previous “Sunday Dinners,” but it was Nikki’s first time making it to dinner, which was exciting because she enjoys cooking as much as I do! This weeks Kitchen Adventure was not as “adventurous” as previous ones…but the weekend was full of craziness, so that makes up for it! 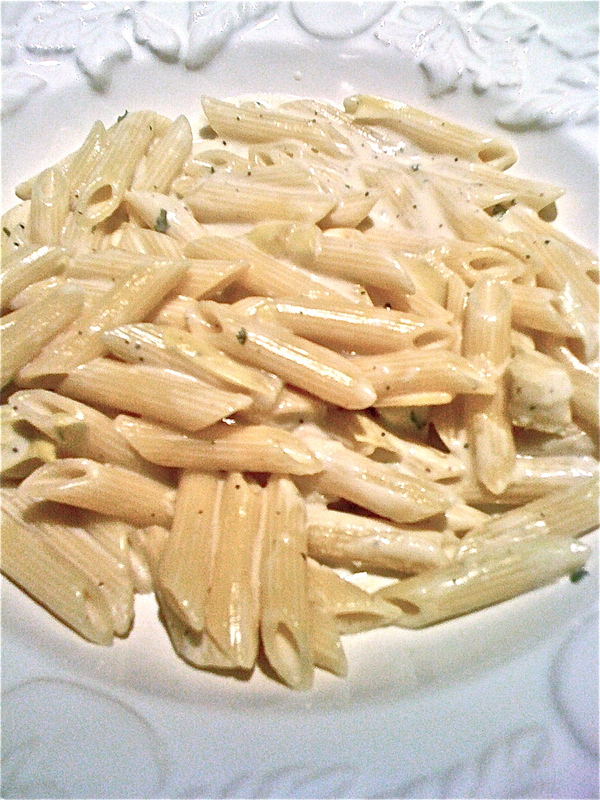 The sauce was also really good and I am so glad I finally learned how to make it! This weekend I will be in Minneapolis and will be on a plane to Florida Sunday night, so my Kitchen Adventures next week will have to be canceled. Hopefully, since it will be just my mom and I in Florida, there will double the amount of cooking adventures to share when I return!